To Jiri and back, 17 Vintage Volkswagens travelled, promoting domestic tourism and celebrating the 60th anniversary of the first Everest ascent. The busy road of Durbarmarg seemed strangely empty for a change. This was probably because commuters would not be on the roads at 7 in the morning. All I saw around me were a bunch of policemen, early morning joggers and a vintage, bright yellow Volkswagen Beetle parked in front of Nanglo’s Bakery café. The ‘bug’ was the reason I was there. The Association of Nepal Beatle Users Group (ANBUG) was ready for a rally again. 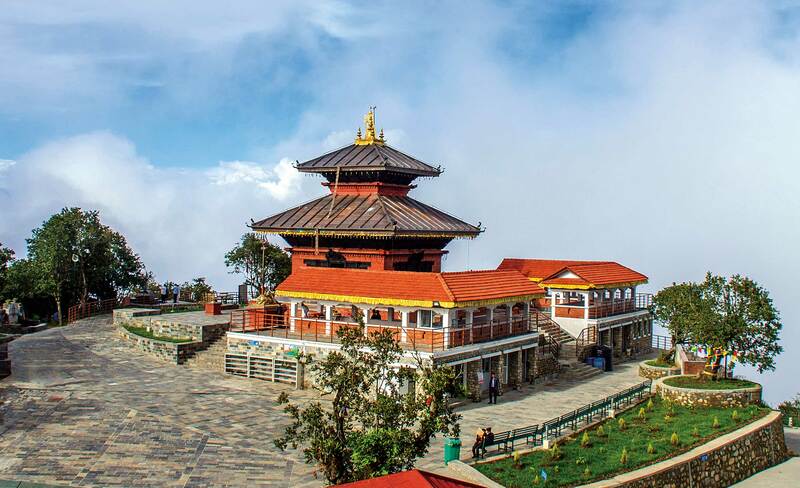 Their destination, Jiri, a picturesque village at an altitude of 1905m in the Dolakha District in north-eastern Nepal, is popular as the Switzerland of Nepal or formerly as the gateway to Everest. 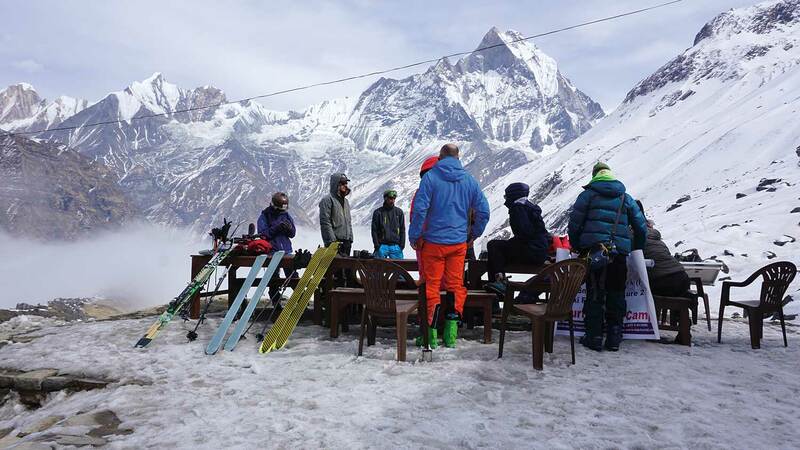 Their cause: to celebrate the 60th anniversary of the first Everest summit climb by Tenzing Norgay Sherpa and Sir Edmund Hillary and to encourage domestic tourism. One bug was here, where’re the rest? Isn’t this a rally? Hardly had the question passed my mind that I heard low rumble behind me and turned to see a blue bug with racing stripes roll in, followed by others. Das autos were arriving and soon, the front of the café brightened up with bugs in all colors. Around 12 gathered there, with more to come. These were Volkswagens of yesteryear, with the oldest being around since 1965! But this wasn’t just a gathering of beetles, a Passat and a Thing were also present; their common objective being that they were vintage! Refreshments taken, rally numbers stuck and with shouts of ‘Jau Jiri’, we were on our way by 8. Our first stop - Banepa, where breakfast was served and our numbers swelled up to 17 Volkswagens. Things started to get exciting. As we left the traffic congested roads of Kathmandu, speed and spirits lifted. It felt like a scene out of a movie, watching all the Beetles turn heads and roar down the highway. It was 203km to Jiri and the road wasn’t so bad considering others in Nepal. However, being old cars, we had to make several stops along the way and at all these respites, the drivers were busy cooling their 4 cylinder engines which ranged from 1.2 -1.6 cc, tweaking them here and there and checking the oil. We are talking about car enthusiasts here who had restored their cars, so all of them knew their machines pretty well. There were bugs with fancy headlights, low profile tires, neon lights, racing seats and snazzy steering wheels; I even saw one with Porsche tires. And almost everyone had pimped out their interiors with massive speakers that turned the usually quiet mountain roads into a rave. The long journey hardly seemed a burden, not when you’re travelling down long winding mountain roads with Nepal’s ever erratic weather throwing storms and hard sun at you. We drove through roads flanked by trees, greener after a shower. We passed beautiful villages with huts nestled amongst them, towns where ecstatic children ran after the cars, raced down narrow roads with a sheer drop to the raging Bhotekoshi River on our side, blew dust into the windshields of heavy trucks and chased the sun as it set. Khadichaur passed in a blur, Mude was only remembered for its momos and cows grazing on the high fields and then eventually Charikot which was a major stop for lunch. Hunger satiated, it was a non-stop drive to the Tamakoshi Bridge. By then, the sun was setting, turning the blue skies golden and another three hours or so later, we were in Jiri. There wasn’t much we could see, having reached at 11 at night so we hurried to our hotels. The entire team divided themselves among four hotels and after a hot traditional Nepali dinner, we shuffled into our rooms. Our snug beds and warm quilts felt good after a hard day of driving. The next day, the residents of Jiri woke up to a peculiar site. The usually quiet town was colored and noisy as people from all houses came out to look at these strange bright ‘bhyagutey gaadis’. Children crowded around, even old people turned their glances towards the entourage. We spent the day exploring the lovely little town and visiting the monastery that overlooked it. Nightfall saw us gather together at one of the hotels for dinner. A good night’s rest and in the morning we bid farewell to this little village with its people looking on as we left.